Looking for the perfect gift? 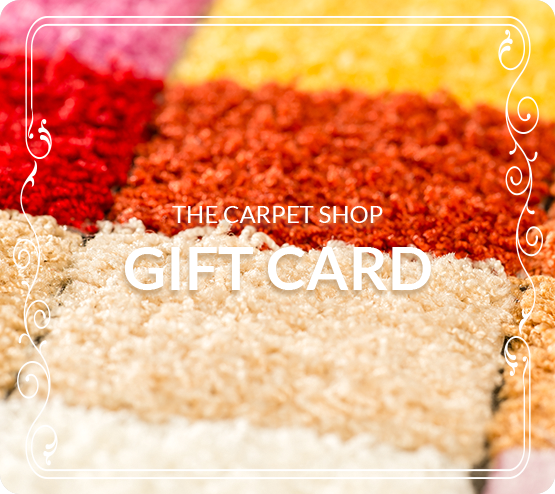 The Carpet Shop Gift Card makes a wonderful present for all occasions - be it Christmas, birthdays, house-warming parties or just a simple surprise for a loved one. Upon successful checkout, the recipient will receive an e-voucher via email, alongside your personal greeting. A credit balance will be added to the email address which then can be used to offset any payments.